The new and modern language introduced in the wave of new products from Microsoft has meant a brand-new ball game, and a major shift compared to the language used by Microsoft over the past 20 years. Tied to the new design style, the Microsoft Design Language, it sounds more personal, using everyday words, simpler terminology, and even colloquial and playful expressions. Today, it is the consumer markets that are the main drivers in technology, and consumers expect a language they can understand immediately. After more than 20 years of technobabble, here we have a resolute commitment to redefine the way software speaks to its users. Given the widespread use of the Microsoft products, these changes have a major impact globally. 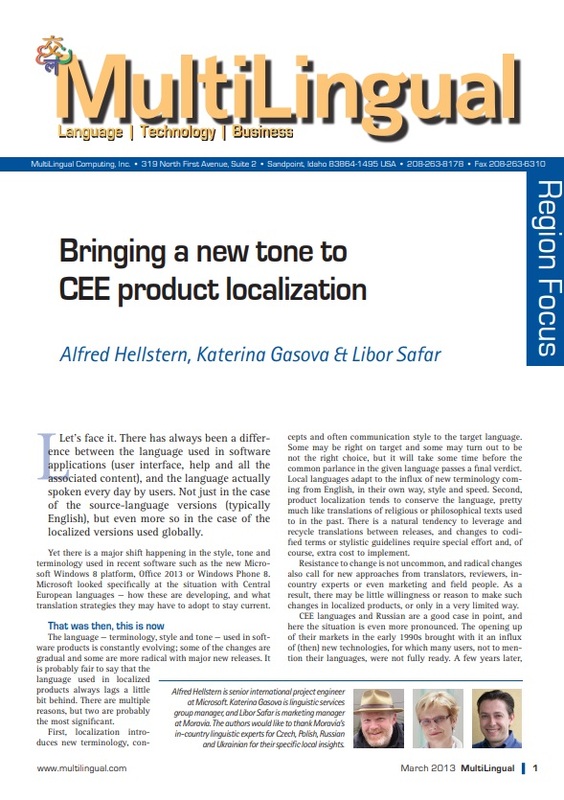 Download the article Bringing a New Tone to CEE Product Localization to understand this trend and how these changes were implemented in the case of CEE languages.